There’s masses to see and do in Dorset, from spectacular natural scenery and geology to fascinating wildlife and plants. 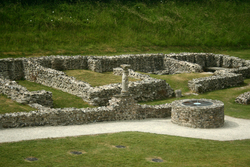 And if that’s not enough, you can explore Dorset’s proud and sometimes troubled history - ancient, modern and literary! Few parts of Britain can boast such a wealth of diverse landscapes, habitats and features in such a comparatively small area. From sandy heaths to chalk hills, from meandering rivers to rolling farmland and woodland. Dorset has them all, but perhaps the county is most famous for what happens where it meets the sea. Dorset offers some of Britain’s best loved beaches and some of the World’s most spectacular and prized coastline. 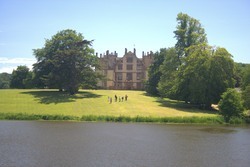 The county also has a strong maritime and fishing tradition. So whether you’re coming to Dorset to build sand-castles or dangle from rock-faces, we’re confident you’ll find something and somewhere for you. And then there’s the fossils. Dorset’s coast is renowned throughout the world for its geology and its place in the fossil record. That’s one of the reasons UNESCO (the United Nations Educational, Science and Cultural Organisation) has designated the Dorset and Devon “Jurassic Coast” a World Heritage Site -confirming its place as one of the natural wonders of the World. So important has the area been to the development and study of the fossil record that local places such as Lyme Regis are inextricably linked to the people and events that shaped the study of these fascinating phenomena. One Dorset fossil hunting beach, Kimmeridge, was considered so important as to give its name to a whole stage of the Jurassic Period - the Kimmeridgian! Don’t expect to find a live Tyrannosaurus Rex (or a fossilised one either), but kids and adults alike love wandering through the rock-strewn debris of the real Jurassic Park! Whilst there’s nothing better than searching the beaches for 150 million year-old snapshots of life on earth, the geology of Dorset has an additional benefit. Today it forms the canvas on which some of Britain’s most beautiful and famous landscapes are spread. 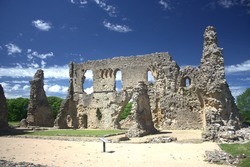 Dorset’s unique and spectacular scenery has been an inspiration for writers, poets and painters for centuries - including some of Britain’s most revered and influential figures, such as John Constable, Joseph Turner, William Wordsworth and Thomas Hardy - probably the author most often associated with Dorset. Arguably the single most important and consistent character in Hardy’s novels was the countryside in which they were set and which he described so lyrically. 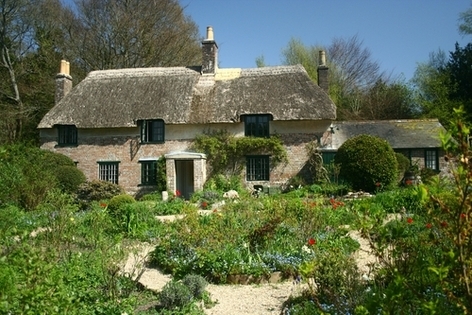 Much of “Hardy’s Wessex”, based on the people, towns, villages and scenery of Dorset, can still be seen. And many of the paths and places he described can still be walked and seen today. Whether inland, or on the coast, Dorset remains one of Britain’s most beautiful places. ​Some come here to seek exhilaration, others inspiration and many, like T. E. Lawrence, known to the World as “Lawrence of Arabia” have used Dorset as a country retreat. Lawrence found the peace and seclusion he sought in the tiny woodland cottage at Clouds Hill. Where will you find yours? 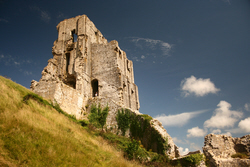 Dorset attractions are World Class for interest, education and entertainment"